SIOUX FALLS, S.D. — The SME of South Dakota has chosen Mark Griffin, president and chief executive officer of Lewis Drug, as the recipient of the South Dakota Sales and Marketing Executive of the Year award. From five stores in 1986 to 58 locations today spanning S.D., Iowa, and Minn, Griffin has successfully navigated the ever-changing retail environment since joining the company in 1978 as the vice president of inventory control. The phenomenal growth of the chain since 1986 is evident under his leadership as president and CEO. Born in Sioux Falls and educated at both the University of South Dakota and Arizona State University Business School, he worked for W.R. Vanderschueet in Atlanta and for A.G. Edwards in Sioux Falls before joining Lewis Drug. 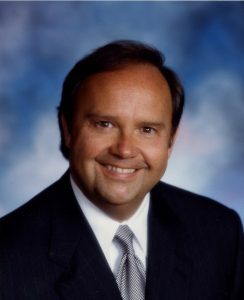 He serves on the executive committee for the National Association of Chain Drug Stores, having served as the association’s Chair from 2002-2003. A true advocate for the Sioux Falls business community, Griffin is the past Chair of the Sioux Falls Airport Authority, Junior Achievement of South Dakota, the Sioux Falls Development Foundation, Sioux Falls Area Chamber of Commerce and Forward Sioux Falls. He recently retired from the Ravin Industries board after serving for thirty years.